A crane may not use its brakes often, but when the need arises, they must be able to operate with the complete reliability. It’s a quality that Stromag, a premier brand of Altra Industrial Motion Corp., designs into its turnkey crane braking packages. As a result, Stromag braking systems are the solution of choice for several crane original equipment manufacturers (OEMs) around the world. Cedric Gomez, Director of Vertical Lifting Systems at Stromag, explores what it takes to become a preferred braking supplier to the crane sector, and how the company approaches application challenges with tailor made, integrated solutions. As a business, Stromag has traditionally supported overhead cranes of the type usually seen in steel or nuclear plants. 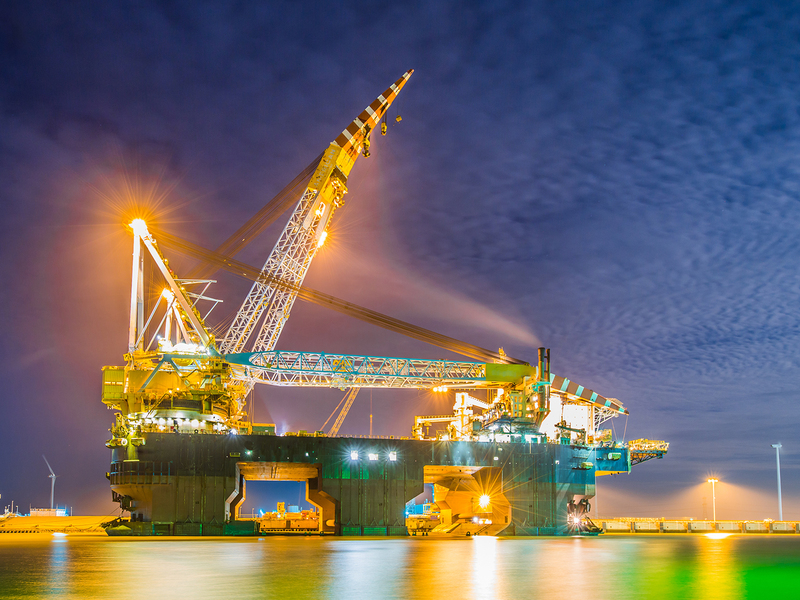 In addition, the company services lifting devices as small as chain or rope hoists typically found in workshops, used to move materials from one side to another. 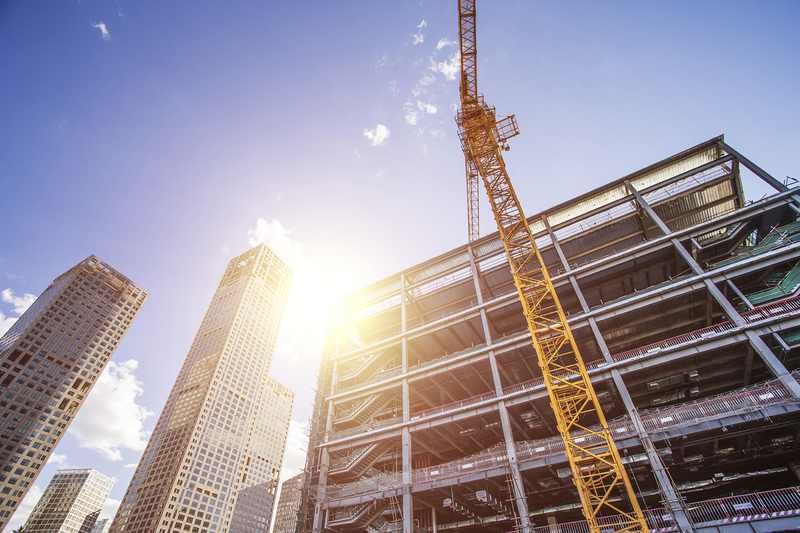 However, what immediately springs to mind when talking about the vertical lifting industry are tower cranes, such as those that characterise most large construction projects. The second type is the luffing tower crane, which is ideal for building big structures in narrow spaces, such as a city centre. Able to raise or lower its boom to move the hook, these cranes feature two winches to control hoisting and the movement of the boom itself. Luffing tower cranes offer increased lifting capacity compared to their flat-top cousins. These cranes usually feature both soft braking for stopping loads and full braking to immediately stop boom movement. For flat top tower cranes, Stromag usually recommends SHD5A and SHD9 disc brakes with spring application and hydraulic release. They are both designed to be robust, compact and lightweight, offering a dynamic braking force from 15 to 56 kN at 108 kg and 43 to 100 kN at 148 kg respectively. This variance in braking forces allows widespread usage in many environments. These brakes are coupled with CSH hydraulic power packs, which are tailored to suit each specific crane. As a package, the system provides a fully integrated solution for soft braking. Luffing tower cranes typically employ electromagnetic spring applied, electronically released NFF brakes. Directly mounted on the back of the crane motor with no disassembly required, NFF brakes can be specified with a braking force of anywhere between 20 to 10,000 Nm. For lifting and lowering, SHD brakes are also incorporated. To ensure proper crane operation within acceptable operating parameters, Stromag offers Light Cam® series geared limit switches, compact universal mechanical switching devices that deliver precise adjustment. 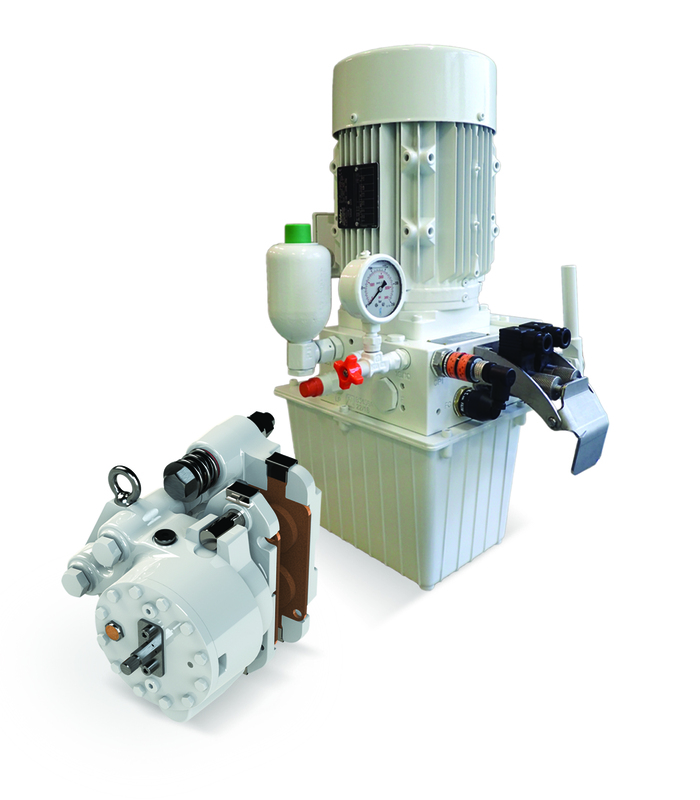 Lastly, the CSH hydraulic power pack also offers a fully integrated package for this design of crane. That isn’t to suggest that these systems are uniform though. To meet the unique needs of each OEM, braking systems must be adaptable. Stromag can offer a wide range of standard options for brakes and associated components. Limit switches can be supplied with potentiometers, incremental or absolute encoders are readily installed. Some customers will require instant braking application, others softer. In either case, Stromag can provide tailored electronic control systems in the cab to control soft braking, full braking or MOPS, depending on the operator requirement. Suppliers with a global reach are important to OEMs. Stromag has offered power transmission components since 1932, and, as a leading brand of the Altra Industrial Motion Corp., the business can offer localised contact paired with a global distribution capacity. No matter the location – Europe, USA, Australia, Brazil or China - spares and support are within easy reach. Stromag systems even integrate with other leading brands in the group. For example, Bauer Gear Motor supplies geared motors to support the turning of tower cranes, so there is a shared expertise that customers can draw on to ensure their crane systems benefit from synergy across the components. Ultimately, supplying braking solutions to the vertical lift sector requires a blend of product synergy, modularity and versatility – which results in increased reliability and performance. Backed by a global capability with localised points of contact, it’s a combination that enhances Stromag’s effectiveness in servicing cranes. Stromag will be available on the Altra Industrial Motion stand in Hall A4.305 at BAUMA 2019 from the 8th – 14th April in Messe München, Munich. Image 1: Cranes come in many shapes and sizes, but the braking challenges faced in each design are similar. Image 2+3: Offshore cranes require a manual overload protection system (MOPS) that can be employed to minimise any adverse load generated by waves at sea.